I’m writing an article about the 1909 Texas A & M football team for the College Football Historical Society August newsletter and am making some interesting discoveries. 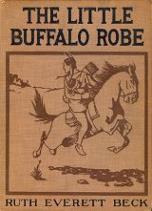 Now you may be asking how this article relates to Carlisle Indian School. After being on the Carlisle team in 1908, Victor Kelley (backup quarterback) and Charlie Moran (assistant coach) left for College Station after a year in Carlisle bringing Mike Balenti (starting quarterback) with them. The three led the Aggies to an undefeated season and won the Southwest Championship. The article is the story of that team’s season, but writing it isn’t as easy as it first seemed. That a fire destroyed many of A & M’s old records is unfortunately not an unusual circumstance that researchers encounter. The library does have a copy of the yearbook – always a good place to get an overview but often not as accurate as one would expect – and a librarian graciously scanned the section on the championship team into a PDF for me. The A & M library has incomplete sets of school and local newspapers on microfilms that aren’t available for inter-library loan, something else that is not uncommon. 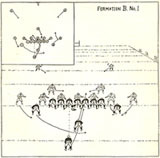 Everything I previously read credited Charlie Moran with being the team’s head coach, but the yearbook stated that someone else started the season in that position and quit after the second game, at which time Moran was elevated into the position. The mystery is: why did the first coach quit. CFbDataWarehouse.com listed one more game – a game with Dallas University – that the yearbook didn’t include. One Wiki site listed this game but another listed a game on the same date with the same score with Trinity. David DeLassus of CFbDataWarehouse.com bailed me out. The Aggies beat Holy Trinity College 47-0 on 11-13-1909 at College Station. His source? 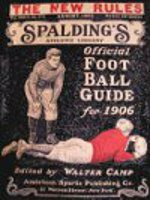 The 1910 Spalding Football Guide. He also explained that Trinity changed its name to the University of Dallas in 1910. Membership in the College Football Historical Society is a modest $17.00 a year. Send a check to: Ray Schmidt, PO Box 6460, Ventura, CA 93006 Subscriptions also make great gifts. Will Hall of Fame Move? The National Football Foundation has not yet been moved to induct Lone Star Dietz into the College Football Hall of Fame but the results of this year’s voting haven’t been released yet. I just learned that Dietz’s 1916 Rose Bowl win over Brown was historic in a way of which I was previously unaware. While it is well known that Washington State’s 14-0 defeat of Brown put West Coast football one the map, established the Rose Bowl, and the New Year’s Day football tradition. What I didn’t realize was that game was the first victory of a West Coast team over a team from east of the Alleghenies. Brown traveled the longest distance to play in a game to that point. The 1899 Carlisle Indians defeated the University of California in San Francisco for what was likely the previous longest distance traveled. The Big Four, Harvard, Yale, Princeton and Penn, rarely played games away from home other than when they played each other. So, it was to see that Penn played Oregon on New Year’s Day 1917 in Pasadena. But Penn was more flexible in playing games away from home than were the Big Three. In those days, Penn would generally play a road game against a team like Brown or Dartmouth and for several years participated in a home-and-away series with Michigan. So, adding a second road game was probably more easily accommodated by Penn than it would have been by the Big Three. Regardless, Penn became the second team east of the Alleghenies to lose to a West Coast team when they lost to Oregon 14-0 in the 1917 Rose Bowl. Dallas boosters recently announced plans to relocate the College Football Hall of Fame from South Bend, IN to Dallas. Oil man T. Boone Pickens has reputedly agreed to put up the money to cover the Hall’s relocation costs. It remains to be seen if the College Football Hall of Fame would relocate from the homes of the Gipper and the Four Horsemen and the rest of the Irish legends. I was surprised to read “He was in love with a Carlisle student named Iva Miller, but her parents forbade the marriage and she went home to California” on page 287 of The Real All Americans: The Team That Changed a Game, a People, a Nation by Sally Jenkins. The reason for my reaction was that it was my understanding that Iva’s parents died when she was quite young, a fact that made forbidding their daughter to marry Jim Thorpe over a decade later quite difficult. I wondered if Ms. Jenkins discovered that they had faked their deaths or found that they had risen from the dead. However, her book mentioned nothing of the sort. That earlier books on Thorpe reflected something considerably different from what Jenkins claimed prompted me to do some research. Jenkins sources for this discovery would provide a good starting point. However, unlike for many other points in her book, she provided no reference for this statement. 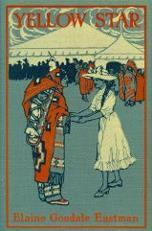 Iva Miller’s Carlisle Indian School records seemed to be a good place to start. They arrived this week and provided some interesting information. Her parents did not sign her enrollment papers; Grace Gray-Morris, who likely was her older sister or aunt, signed the papers and swore that Iva’s dead mother was half-blood Cherokee from North Carolina. Iva’s Physical Record indicated that her father was living and in good health as were three brothers and a sister. Another brother had died of pneumonia and consumption had taken her mother. Iva had attended Chilocco Indian School before coming to Carlisle and Ms. Gray-Morris probably assisted with her enrollment at that facility due to her geographic proximity in Arkansas City, Kansas, the town closest to Chilocco. I haven’t found Iva’s father on censuses after 1900 but that doesn’t mean he wasn’t still alive and living in California in 1912 when Iva graduated from Carlisle and supposedly returned home to her parents. She may have visited family members in California for a bit but wasn’t held there because she was soon in Oklahoma. Her letters to Carlisle that were published in the school newspaper indicated that she spent the summer in Oklahoma and the fall working at the Otoe Agency. My findings differ significantly from what Jenkins published. A major thrust of the 1914 Joint Congressional Inquiry into Carlisle Indian School concerned the funding of the athletic program. The training table provided special food for athletes and was eliminated as a result of the investigation. Providing athletes special diets was not all that unusual at colleges at that time but was frowned upon by those who wanted college athletics to be purely amateur, or at least give that outward appearance. A little over a decade later, in December 1926, Penn State hired a new president, Ralph Hertzl, with the aim of upgrading the institution’s academic standing. Shortly after his inauguration, the alumni committee recommended that financial aid to athletes be eliminated, a Board of Athletic Control be formed, and the Director of Physical Education (Athletic Director in modern parlance) be disallowed from coaching any teams. These recommendations were also aimed at loosening Hugo Bezdek’s tyrannical grip over the Athletic Department and were eventually successful. Issues of professionalism that were raised at Carlisle Indian School a century ago continued for decades and are still debated today. More on Penn State football history can be found on Black Shoe Diaries. Previously, I wrote about the Carlisle Indian School contingent that marched in the 1905 Inauguration Parade to celebrate Theodore Roosevelt’s election as President. Six great chiefs, led by Geronimo, rode on horseback in front of the Carlisle Indian School Band. I didn’t write about the others who wanted to participate in the festivities. 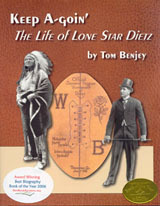 Leupp would not budge and the old chiefs returned to Dakota without marching in the parade. They were not greeted by President Roosevelt who clapped his hands with delight and, like the others in his box, rose to his feet when the six chiefs passed. Something that was brought out in the 1914 Joint Congressional Investigation of Carlisle Indian School is that, then as now, a few of the girls were floozies. Bertha D. Canfield, a teacher, raised the issues of morals during her testimony. An unnamed female student supported Mrs. Canfield’s testimony. Miss _____________. You have heard the _____________ _____________ case brought up. She was a girl that was not of a very good character. She had a very good voice, and she was taken out several times with the band, and on one occasion she sang for the governor in Harrisburg and was put as a model for the school. And she was also the star here at commencement time, 1912, I think it was, when she sang. When they put up girls of that character that is only leading weaker girls to evil doings, because they think if a girl of that standing can rise up and be put as a model before the school they also can do those things. Out of prurient interest and using the clues presented in the testimony, I researched Carlisle Indian School publications to determine who this hussy was. After I thought I had figured out who she was, I searched the document concerning the investigation for her name and found it. Interested readers can duplicate my research to learn for themselves exactly who this floozy was. HogNation.com made a similar claim. RizzoSports.com echoes that statement. Brendan Macgranachan stated it differently when writing about Bezdek: “The story of the only man to manage in the Major Leagues and coach a professional football team” on SeamHeads.com</as does his claim http://seamheads.com/blog/2008/11/29/the-legend-of-hugo-bezdek/. They are all wrong. Not only were they wrong when they wrote, it was wrong when Bezdek coached the Rams. It was even wrong when he managed the Pirates. In the very early 1900s, the Philadelphia major league baseball teams were competing fiercely with each other, especially for players. Professional football was beginning to develop a following and, in 1902, David Berry, a football promoter from Western Pennsylvania, founded the National Football League. He succeeded in convincing both Philadelphia baseball teams to sponsor teams. The third member of the league was from Pittsburgh and may have been sponsored by that city’s big league baseball franchise. The Phillies’ manager also managed the football team but did not coach it. However, Connie Mack, the Athletics’ manager did coach the NFL team becoming the first man to manage a major league baseball team and to coach an NFL team. Hugo Bezdek did not manage the Pirates until 1918 and the Rams until 1937. Connie Mack also made his star lefthander, Rube Waddell, play on the football team, thus likely becoming the first person to play both major league baseball and pro football. The NFL disbanded after its World Series that was played over the New Year holiday in Madison Square Garden. However, none of the three NFL teams participated. The winning team was a Syracuse squad that featured Carlisle Indians Bemus and Hawley Pierce on one side of the line and the Warner brothers, Pop and Bill, on the other. Today I received a fax of the front page of the July 22, 1935 edition of the Pawhuska Daily Journal Capital from the Oklahoma Historical Society. The combination news article/obituary clears up the questions regarding Pete Hauser’s untimely demise. Pete spent the evening of Saturday, July 20, 1935 at a baseball game in Bartlesville, Oklahoma with two friends. Pete, Chauncey Archiquette and George Frass were about 4 miles out of Pawhuska on the Bartlesville Road when their car had a flat tire. For reasons unstated, they parked Archiquette’s car in the middle of the road. A good guess might be that at 3:00 a.m. on a Sunday morning in rural Oklahoma in 1935, they didn’t expect any traffic. As Pete was tightening the lug nuts, Archiquette stood in front of the car and waved at an oncoming vehicle to pass it on the left because there was more room. Miss Violet Stuart of Bartlesville was driving the oncoming car which was owned by her passenger, A. C. Applegate of Dewey. She attempted to pass the stopped car on its right and clipped its left front fender and killed Hauser by breaking his neck. Pete and Chauncey were long-time friends as both had attended and played football at Haskell Institute and Carlisle Indian School. 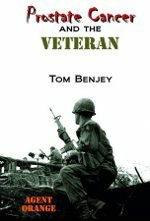 Pete was living with Chauncey at the time of the accident and was employed by a Depression-era government program, the Indian Emergency Conservation Work, a division of the Civilian Conservation Corps (CCC). Pete was active in the American Legion after serving at Fort McArthur, Texas during WWI. His Legion Funeral Rites were held at Johnson Chapel. A Legion quartet sang at his funeral and a rifle squad fired a salute at graveside. Honorary pallbearers included old football chums Pop Warner, Jim Thorpe, Albert Exendine, Walter Mathews and Archiquette. Carolyn Williams was essentially correct in her understanding of the accident. Last November I reported on an article that brought out some facts about Pete and Emil Hauser’s early lives. I recently reread it and noticed that I had overlooked something. The article from the The Kansan stated that he was killed in July 1935 while changing a tire near Bartlesville, Oklahoma. So far, I’ve come up mostly dry. I talked with Mark Schnabel, the reporter who wrote the piece, who told me he just reported what the speaker said. Now I’m trying to get in touch with the speaker, Carolyn Williams of the Halstead Historical Society. Like many historical societies in small towns, Halstead has very limited hours and I haven’t been able to make contact with her as yet. I then browsed through the books I have in my possession and found mention of this event in the 2007 Sally Jenkins book. On page 307 she wrote, “He [Hauser] was killed in a roadside accident while changing a tire near Pawhuska in the 1940s.” Although her book has many endnotes, there is none for this item. I then began to look for a newspaper article about the accident and his obituary. I have found neither so far but haven’t completed the search. It will probably take a while. While perusing the Cheyenne & Arapahoe censuses, I found his date of death. The 1934 tribal roll listed Pete Hauser as living on the Osage Indian Reservation. Perhaps he had married an Osage woman. That is something else to research. Pete’s listing was lined out but still readable. “Died 7/21/35” was handwritten above his last name. So, Carolyn Williams got it right about his date of death and Sally Jenkins got it wrong. Having the date of death established should help narrow down newspaper accounts of his death. Now for the location. The Osage Reservation is off US Route 60 more or less equidistant from Bartlesville and Pawhuska, which are 26 miles apart. Maybe I’ll get an email that solves the puzzle or I’ll locate a newspaper that covered it. Until then, it’s a loose end. When looking through the Dickinson College archives for something else, the first paper I saw was a 1931 newspaper article announcing that Jim Thorpe had applied for the vacant head football coach position at that institution. Thorpe only wanted to coach there for a year because he was involved in business matters in the Oklahoma oil industry that were expected to occupy more of his time in the future. He was also negotiating with Mississippi A&M. Dickinson alum Gus Welch also applied for the position as did 50 others. Neither of the Indians got the job as it was formally accepted by Joseph M. McCormick at the “D” banquet held on March 25th at the Molly Pitcher hotel. McCormick had been coaching at prep schools such as Mercersburg Academy and The Hill School. He had most recently coached at Roxbury School in Cheshire, CT. He led Dickinson’s Red Devils to their best season in six years. Thorpe took a job digging the foundation for a new hospital in Los Angeles. There was some truth to Thorpe’s story about the oil business, but it was in East Hawthorne, CA. The Jim Thorpe Petroleum Syndicate acquired 100 acres of land formerly owned by Gilbert Bessemyer. Jim was president of the syndicate and his cousin, Hawthorne’s chief of police, was one of the directors. In late April, the Putnam City school district announced that Thorpe had been hired as director of athletics for the rural school district located five miles west of Oklahoma City. In late June, he went into the movies to play, not surprisingly, Indian parts. He had small roles in a number of films. He spent New Year’s Day of 1932 watching the Rose Bowl, is first, as an Associate Press reporter. Gus Welch became the head coach at Haskell Institute in 1933 after Lone Star Dietz departed for the NFL.